Arctic Monkeys won't be releasing any songs off their album before it's released. 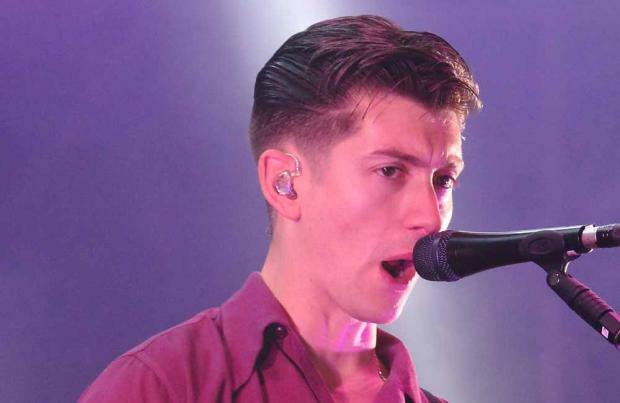 Alex Turner and co are making their fans wait until all 11 tracks of their sixth studio effort 'Tranquility Base Hotel & Casino' are out on May 11, to hear the first new music from the band since 2013's 'AM'. Commenting on the decision, the frontman said: "Jamie [Cook, guitarist] was really keen on that idea, and I guess people at Domino [record label]. "But it didn't come from me. I understand it, I think." In the same interview, guitarist Jamie revealed the record nearly became Alex's solo album, because the tracks were more piano-led originally so Alex was planning on keeping them for himself. However, in the end they decided to roll with the new sound. "And maybe at first I was a bit like that as well. "It's definitely not a guitar-heavy record, not typically what we'd do. It took a lot more thinking about." On his new writing process, he said: "I've tricked myself into writing - by sitting at the piano, doing this thing that I haven't done before. "That gave me permission to go somewhere I'd had trouble getting to before. "It allowed me to put across how I feel more, more ... broadly than before." The Sheffield's band's sixth record - which is released on May 11 - pays homage to fellow British indie band The Strokes on the first line, which Turner has no regrets about. He admitted: "Did The Strokes line feel too close to home? Yeah, absolutely. "But you can't let that stop you. "That whole thing of 'Oh my God, what they gonna think this means? "You can't really work like that."